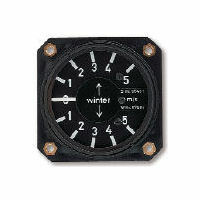 - Indication range: +/- 5 m/sec. Variometers measure the rate of change of altitude by detecting the change in air pressure (static pressure) as altitude changes. They consist of a cylindrical chamber with a precisely fitting diaphragm that is placed shockproof on hollow stones and kept in its centered position by a spiral spring. The chamber is divided into two parts by the diaphragm. One is connected to static pressure, the other to an expansion tank where a package of air is kept isolated from temperature influence. Pressure differences are equalised through the thin gap between cylinder walls and the diaphragm. When descending or climbing the static pressure changes and subsequently a pressure difference between the two parts of the cylinder is building up. 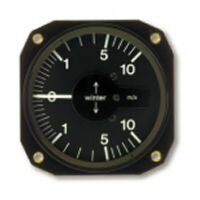 The degree of diaphragm movement caused by the pressure difference is the measure for vertical speed and is transferred to the instrument’s pointer. One of the main criteria of mechanical variometers is the indication velocity. In competition gliding quickly indicating variometers are a great advantage to identify thermals and use them in the best way possible. As unit of indicating velocity the time constant is used. 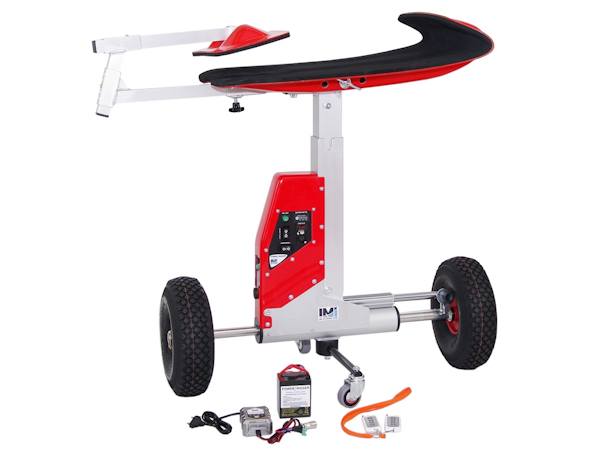 It defines the amount of time the device needs to reach 65% of the final value after a sudden change in vertical speed. The faster a variometer indicates the change, the smaller it’s time constant. Mechanical variometers with a large indicating range, e.g. 5 StV 5 (±10 m/sec. and ±15 m/sec.) have small time constants. To achieve fast indications with common ±5meter/seond devices the volume of the expansion tank has to be increased. 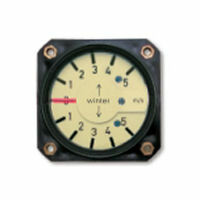 The variometer may be equipped with a scale ring.